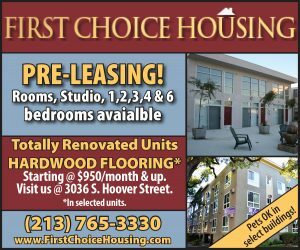 The USC men’s basketball team hopes to build off the momentum from their home opener, a 95-79 victory over Cal State Northridge, as they prepare to take on Northern Arizona on Friday at 8 p.m. 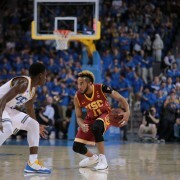 The Trojans (1-1) bounced back after a 78-65 road loss to Utah State in coach Andy Enfield’s first game with USC and came out with a 95-79 in their home opener against Cal State Northridge on Tuesday. 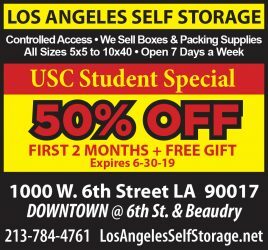 Senior center Omar Oraby led USC with 17 points, while junior forward Byron Wesley finished with 16 points, 11 rebounds and six assists. 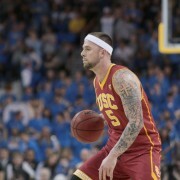 USC shot 57 percent from the field as the squad won its home opener for the sixth consecutive year. The two teams combined for 27 turnovers and 48 fouls in the contest. 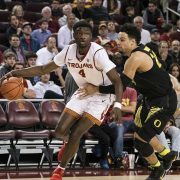 Oraby said that even though the team showed promise with their offensive barrage against the Matadors, there’s still lots of work to do before USC will face tougher competition in the Battle 4 Atlantis Tournament in late November. Oraby and Wesley have paced USC in scoring by averaging 16 and 15.5 points per game, respectively, over the two contests. Wesley also leads the team with 9.5 rebounds and is second in assists with 5.0 per game, while Oraby has 7.5 rebounds per game. 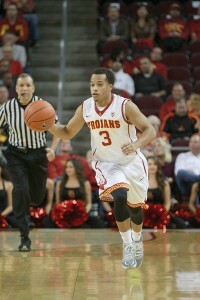 Senior guard J.T. Terrell, the squad’s leading returning scorer from last season who didn’t start against the Lumberjacks for what Enfield called “academic reasons,” is averaging 14.0 points per game. After scoring 65.7 points per game last year, the Trojans are averaging 80 points in the infancy of their 2013-14 campaign. Northern Arizona (1-1) is currently in the middle of a four-game road trip to start the season. The Lumberjacks won their opener 74-63 over UTSA, and are coming off an 88-68 loss to Texas Tech. Forward Max Jacobsen led the team with 15 points and seven rebounds, while guard Quinton Upshur added 14 points. Last year, the Lumberjacks finished 11-21 and 8-12 in the Big Sky conference, with just a 4-13 record in road games. USC is 2-0 all-time against Northern Arizona. The last matchup between the two teams was a 60-52 USC win on Dec. 11, 2010. USC will continue their four-game homestand next week with showdowns against Cal State Fullerton (1-1) on Tuesday at 8 p.m. and West Alabama (1-0) on Thursday at 7 p.m.